A Contemplative? Such a Waste! We’ve heard the comments and maybe thought them ourselves. When someone is joining the religious life, especially those who are entering into the contemplative orders, which shuts one out from the whole world, heads are shaken in disbelief and wonderment. Why would one do such a thing? She is so talented, so beautiful…what a waste! I remember when my sister-in-law, a beauty of about 20 years old, was joining the convent. I thought of her thick, long, gold flaxen hair, natural highlights and all and my heart gave a tug. Gulp! Off it goes! It’s amazing how we humans judge things….by exteriors a lot of times! I did see the bigger picture, though, and I was very happy for my sister-in-law and in awe of the awesome step she was about to take! She saw life for what it was and walked away from it…for something very beautiful! Those of us who are schooled in the beauty and meaning of our Catholic Faith know what this “walking away” means. And Fr. Gabriel puts it into beautiful words in Divine Intimacy. And let us remember this in our own lives. It is not all about what we get done. It is about the power of the Holy Ghost working through us as we do our duties and work in our own fields of the Apostolate. Prayer is where it’s at…with the prayer of the Sacrifice of the Mass at the top of the list! The following is from Divine Intimacy. When we speak of the apostolate, we think almost exclusively of external activity; this is certainly necessary, but it is not the only kind of apostolate. We must always bear in mind that Jesus saved us not only by the activity of the last three years of His life, which were dedicated to the evangelization of the multitudes and the formation of the first nucleus of the church, but also by prayer, suffering, vigils – by His whole life. Jesus was always an apostle, always the one sent by the Father for our salvation. His apostolate began at Bethlehem in the dreariness of a cave; as a tiny Babe wrapped in swaddling clothes, He was already suffering for us; it continued during the thirty years spent at Nazareth in prayer, in retirement, in the hidden life; it took an external form in His direct contact with souls during His public life, and reached its culmination in His agony in the Garden of Olives and his death on the Cross. Our apostolate consists in associating ourselves with what Jesus has done for the redemption of mankind; therefore, it is not limited to external activity, but it also consists, and essentially so, in prayer and sacrifice. Thus one clearly sees that there are two fundamental forms of apostolate: the interior apostolate of prayer and immolation, which is a prolongation of the hidden life and of the Passion of Jesus; and the exterior apostolate of word and of work, which is a prolongation of His public life. Both are a participation in the redemptive work of Jesus, but there is a great difference between them. The interior apostolate is the indispensable foundation of the exterior apostolate; no one, in fact, can hope to save souls by exterior works which are not sustained by prayer and sacrifice. On the other hand, there are cases where external works can be dispensed with, without, on that account, lessening the interior apostolate of prayer and sacrifice, which can still be very intense and fruitful. Every Christian is an apostle, not only in virtue of the activity in which he engages, but principally because of his participation in the prayer and sacrifice by which Jesus has redeemed the world. The interior apostolate can subsist by itself; in fact, there are states of life that justify the absence of an exterior apostolate. One of these is the purely contemplative life, which has always flourished in the Church. Like a mother, she jealously defends it against the attacks of those who condemn it as an escape from the field of action. Those who follow God’s call and retire from active works to give themselves to this kind of life are not deserters; if they leave the ranks of the external apostolate, they do this only in order to give themselves to a more intensive apostolate, that of prayer and continual immolation. “Those in the Church who perform the function of prayer and continual penance, contribute to the growth of the Church and the salvation of the human race to a greater degree than those who cultivate the Lord’s field by their activity; for, if they did not draw down from heaven an abundance of divine grace to irrigate the field, the evangelical workers would certainly receive less fruit from their labors” (Pius XI: Umbratilem). This authorized statement of a great Pope can leave no doubt as to the immense apostolic value of the contemplative life; but, on the other hand, it is but just to remark that such value is realized only when contemplatives engage themselves with all their strength in prayer and continual immolation. In other words, it is not any kind of prayer or sacrifice that will result in such great fruitfulness, but only the prayer and sacrifice that come from an extremely pure and generous heart, a heart wholly given to God and which, day by day, renews and lives its immolation with ever greater freshness and intensity. When the contemplative life is lived with such intensity it is, in an eminent way, an apostolic life. It is in this sense that Pope Pius XII has defined the vocation to a cloistered life as “a universal, apostolic vocation…a fully and totally apostolic vocation, not limited by boundaries of place, time, and circumstances, but always and everywhere, zealous for everything that in any way relates to the honor of the heavenly Spouse or the salvation of souls” (Apostolic Constitution: Sponsa Christi). Furthermore, contemplative monasteries, by the simple example of their hidden life, their prayer and penance, are a continual reminder for all to be detached from earthly things and to seek those that are heavenly: union with God and sanctity. While we are speaking of contemplatives…..this is a fascinating and beautiful book! I have read it more than once. It is delightful. You may have to search around for it as it is out of print. 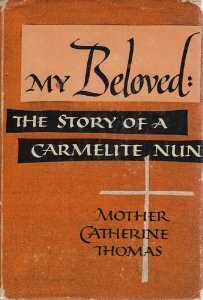 This book is an autobiography written by Mother Catherine Thomas and published in 1957. It tells of her journey as a normal, happy young lady who enjoyed life in its wholesomeness. She chooses Carmel and eventually becomes the Mother Superior. It tells of her spiritual journey and is charmingly candid and human. It is good reading for young and old. A reporter interviewing Mother Catherine. A nun arranging one of the original barrack cells on the day of the move. Mother Catherine writing in the barn loft. A nun milking the monastery cow. The Beauty in this vocation is very underestimated. To be granted the grace of a religious vocation is awesome to behold. 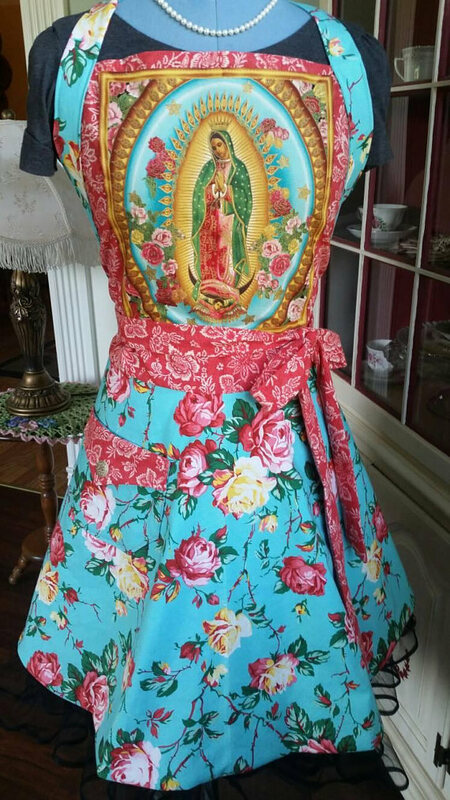 May Our Lady grant many such vocations! I think there is confusion in some pious souls who ‘shirk’ their family responsibilities in order to pray.Many times it’s not even what is done but how it’s done and the complaint that ‘if only I had more time…’The ‘Sacrament of the moment”is such that all we do is done with Him and in Him and Through Him and such is Sanctity. I’d love to read about Mother Catherine, I’ll have to have a look around for a copy of the book. St Teresa of Avila’s feast day is coming up soon – I can’t think of a better example of a contemplative and mystic who also had/has a very active apostolate! I think as a mother of young children, drawn to the Carmelite charism, I have a great model in her. I found it available to read online here: https://catalog.hathitrust.org/Record/001591870. The Hathi Trust Digital Library has many out of print Catholic books! Marilyn, I found it available to read online here: https://catalog.hathitrust.org/Record/001591870. The Hathi Trust Digital Library has many out of print Catholic books! What an inspiring read!! It makes me want to give my girls to the contemplative life and be excited about it too! What a beautiful sacrifice a mother could make and to better the world she lives in. There is a difference between Contemplatives and religious sisters & brothers. Your article is interesting but the wording is misleading. There are many living a Contemplative life that are every day working people with families. It is a form of practice.